The taboo topic of euthanasia is back in the media as Sean Davison, the founder of Dignity SA, has been arrested related to the suicide of his quadriplegic friend, Dr Anrich Burger, in a Cape Town hotel room in 2013. The state is charging Davison with the planned and premeditated murder of Burger. In South African law, assisted suicide or euthanasia is illegal and is likely to be deemed murder in a court of law. According to the South African Constitution, every person has the right to life, however, there is no such right to die and thus one is not legally entitled to use assisted suicide even though it may be an autonomous decision. The predicament is this: a person may instruct a doctor or their friend to assist them in committing suicide by means of administering drugs, therefore you do not have the intention of murdering that person, merely helping them in a request, however, that person is not alive to defend your actions in a court of law. Numerous cases dealing with the issue of euthanasia have been brought before South African courts; however, the precedent is that it remains illegal and can amount to murder. In the cases of S v De Bellocq 1975 (3) SA 538 (T) and S v Hartmann 1975 (3) SA 532 (C) both heard in 1975, it was found that the defendant was guilty of murder, even though euthanasia was administered to end unpreventable suffering. Interestingly, however, the sentences imposed showed ambivalence – no sentence in De Bellocq and a suspended one year sentence in Hartmann. What this judgment essentially meant is that euthanasia or assisted suicide with the help of a doctor became lawful. This revelatory judgment was short-lived however; the judgment was overturned in 2016 by the Supreme Court of Appeal (SCA). The SCA found that Judge Fabricius’ judgment amounted to legislating, which is within the scope of Parliament’s powers and not the courts, thus accordingly it is an issue better suited for the legislator to address. As can be seen from case law, there appears to be ambivalence towards euthanasia or assisted suicide: it is illegal, however the courts seem to understand its use and the motive behind it. In broader society, the main arguments in support of euthanasia include human autonomy – a person should be entitled to make decisions regarding his or her own life, and the right to dignity which includes the right to end incurable pain and suffering. The arguments in opposition centre around morals based on personal and religious views. The legal position in South Africa remains unchanged, euthanasia or assisted suicide is illegal. However there appears to be development in this regard, for example the South African Law Reform Commission published proposals which in essence provided that medical practitioners should in certain circumstances be allowed to provide drugs to a patient to help their incurable suffering, even though this could result in hastened death of that patient. But these proposals do not amount to legislation and it is up to the South African legislature to promulgate legislation in this regard, should they wish to do so. We will have to await the outcome of Mr Davison’s trial to see whether the position on euthanasia remains illegal or whether any developments will be made in this regard. 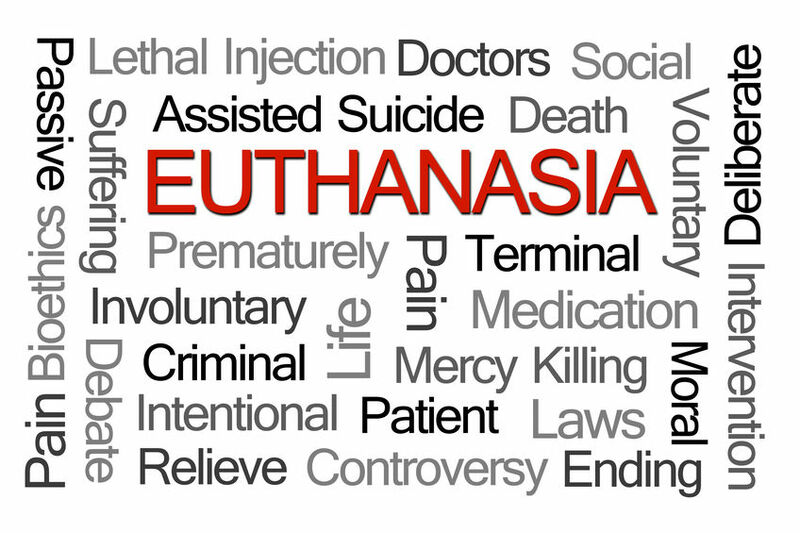 For any queries regarding euthanasia or related legal matters, please contact our expert Criminal Law attorneys.